The AirRhino is the most versatile air cleaner of its kind, offering significant value over traditional job site air cleaners. 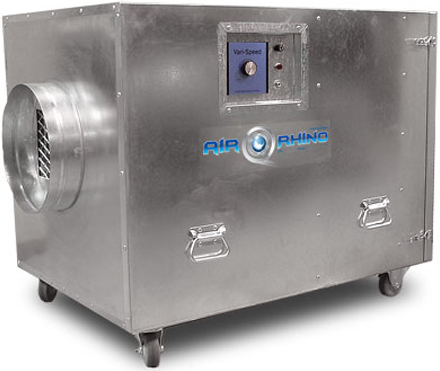 With interchangeable carbon and HEPA filters, easily convert your AirRhino from a rugged chemical, gas and odor scrubber to a powerful particle machine right on site. Smaller footprint available. Negative air ready.